My name is Vasily Ryzhonkov and this is my personal blog where I share, publish and discuss issues about Entrepreneurship, Business Incubation, Innovation management, Business Models and Strategy. 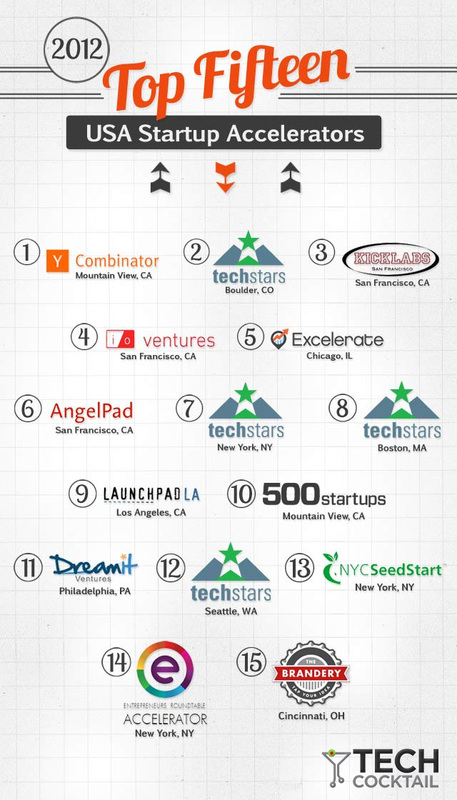 Startup Accelerators. The History and Definition. This series of posts is devoted to a special type of business incubators – business accelerators. They also called accelerator programs or seed accelerators. There are three main reasons why I want to cover business accelerators. Firstly, it’s impossible to ignore the business accelerator phenomenon in the Business Incubation blog. This type of business incubation program started a decade ago in US and spread all over the world. Secondly, I’ve received a lot comments about incubators, accelerators and their significance as important resources to ensure the growth of startup firms. However, there seems to be a considerable amount of misinterpretation or confusion about the differences between business accelerator and business incubator. 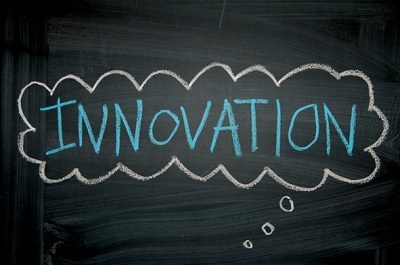 Lastly, I recognize an importance of this layer of innovations acceleration environment. There are famous success stories such as Dropbox, Airbnb, etc. Moreover, I’m constantly involved in startups mentoring & consulting and was a co-founder of virtual business incubator Crowdsynergy. So, I know a bit what I’m talking about :). So, let’s devote some time to understand the history, idea & concept, the scale and scope of phenomenon, organizational and financial structure, functions, general characteristics, main stakeholders, approaches, key success factors and challenges of business accelerators. I will share insights about startup accelerators as researcher (I’ve investigated this concept a lot when I was writing my MBA dissertation about Framework for Virtual Business Incubator), as practioner (I’m coaching startups using methodologies used in TechStars and 1M/1M), and as entrepreneur who was a co-founder of a business incubator. In my previous posts I provided a typology of business incubators that is more than 10 years old. In that typology you will not find even a word ‘accelerator’. However, according to business incubation timeline in 2005 appeared first business accelerator Y Combinator that changed the face of industry significantly. And it’s no surprise that the idea of a low-investment bootcamp has become widely mimicked: after all, who wouldn’t want to ape Y Combinator, which has produced the likes of Reddit, Dropbox and Airbnb? So, what has changed? Why this new type spreaded over the globe and reached according to different estimates the number of something between 300 to 400 programs (NESTA research report, Seed-DB, F6S, GigaOm). Before we will dive into the concept and will try to determine what is accelerator, we need to undertand the contest and reasons why this phenomenon spread so rapidly and have certain success. As I said before the number of accelerators has grown rapidly in the US, then in Europe, and looks like to grow all over the world (we have already at least 10 in cold Russia). These programs are notable for value proposition that is widely recognized by many stakeholders within innovation ecosystem: entrepreneurs, investors, mentors. Let us consider changes in technological advances, business environment, entrepreneurship, innovation ecosystem on global scale through out recent decade from multiple perspectives: business, investor, entrepreneur, and business incubator. Technological progress and digital age brought free enterprise to every geographic and socioeconomic sector. In other words transaction costs of starting a business have lowered significantly for tech sectors, especially for web, software development. This gives more opportunities for people to realize theirselves as entrepreneurs. See article The Nature of the Firm. Business environment is very volatile. Top managers in big corporations shifted from long-term planning to short-term planning. Business must adapt quickly. Therefore you need to start quickly or die. The rise in accelerators has been particularly marked in the tech sector. According to Simon Jenner, the CEO of Birmingham-based Oxygen Accelerator, this is because it’s possible to accelerate a tech business in a short period of time. “If I was manufacturing a widget, it isn’t possible to accelerate it in 13 weeks. Prototyping, getting mocks made up, getting it through the manufacturing process and all the approvals you need all takes time,” he explains. The number of entrepreneurs grew significantly reaching more than 400 million in 2012 according to Global Entrepreneurship Monitor. We are going towards 1 billion in 2025. According to the Kaufman Index of Entrepreneurial Activity (KIEA), the entrepreneurial rate in the U.S. is already well above the dot.com bubble of 15 years ago, although we have slipped a bit this year from the high point of 320 new entrepreneurs out of 100,000 adults in 2011. It still adds up to over 20 million non-employer businesses out there today, with more starting every day. Thus, the more entrepreneurs appear, the more level of competition for limited resources such as capital, access to networks of mentors, experts, investors, knowledge, qualified personnel, business supporting environments (say business accelerators). But statistically, chances of success for entrepreneurs are still slim – 9 out of 10 will survive. On the other hand entrepreneurs require programs, helping them learn rapidly, create powerful networks and become better entrepreneurs, the high quality of mentors and find start-up team members they work with. Many entrepreneurs wish for a financial shot in the arm early on when they work full-time, trying to build their business in their spare time. Business accelerator programs can solve this problem and offer an opportunity to work in a community of like-minded entrepreneurs, as well as the time to focus on developing their product without worrying about bills. It’s no wonder startups are queuing up to get in. The capital commited to VC remains more or less steady and not growing as fast as demand for it. “Dry power” is US$118B and remains at a level similar to the past few years (Ernst&Young, 2011). According to my estemate in 2012 early-stage entrepreneurs demanded around $3 trln worldwide for their projects and this sum was growing annualy. While the total availability of venture capital ($200) + business angel capital ($100B) was about $300B. This is commited (not invested) money to venture funds and by business angels. I need to admit that this estimate is very conservative because it doesn’t consider the hidden business angels capital (not reported), private capital commited for early-stage startups, etc. And only about $30B of capital was invested in early-stage entrepreneurs annualy according to NVCA, MoneyTree Report, DowJonesOne. Please see for details my research called Fundraising as the Main Entrepreneur’s Problem from 2012. As I mentioned demand for resources from entrepreneurs and specifically for accelerator programs outstrips supply. Limits on their growth include the pool of high quality mentors, opportunities for acquisition by large companies or stock market flotation and competition for start-up talent with other careers. Due to volatile business environment, investors require faster return on investment (in 3-5 years, not even 5 to 10 years). They also want good ROI. But good ROI comes from brilliant and qualitative projects. However, quality requires time… Brilliant projects don’t appear every moment. They need time to incubate. pipeline of ventures to invest in. Their main services are not alligned with the requirements of fast pacing time. Later we will see that key value proposition of accelerator is more focused on particular issues and different from top services by business incubator such as Secretarial Service, Infrastructure / Facility-Based Services, Business Services,Financing and Access to finance, People Connectivity and Networking, Education / Access to knowledge, Brand Building,Management of the Program. There is no direct incentives for typical business incubator management to incubate startups (they don’t take equity). Moreover, mainly (about 80%) usual incubators are government funded. Lastly, incubators don’t appear to ‘digest’ the amount of entrepreneurs in the world. According to my estimate there was 9000 business incubators in the World in 2013. One incubator incubates a project usually 2-3 years and can effectively work with 30-40 projects per year. We have at maximum 9000 incubators * 40 projects * 3 founders = 1 mln entrepreneurs in incubators. It’s much more effectively instead of funding one startup at a time, to mentor and coach them in batches for efficiency. The model is different from both traditional seed-stage investing and business incubators. New approaches for entrepreneurship pioneered like Customer Development, Lean Startup and Business Model Canvasing by Steve Blank, Eric Ries and Alex Osterwalder propose systematic approach towards starting a business that allow to validate ideas early. These Startup’s Manual techniques could be easily integrated into business incubation practices. And they are! As with many other trends, accelerators originate from the US where the famous Y Combinator kicked it all off in 2005. In the UK, Seedcamp was first to launch in 2007 and many have followed since. Glavstart was the first in Russia.Since 2005 there has been year-on-year growth in the number of companies taking this route through their early-stages. Y Combinator has taken on more and more companies each year, but the main driver of growth has been that new programs have been created. Techstars now operates in four US cities and is growing a global network of peers. In Europe, the number of programmes has risen from just one in 2007 to over 50 in 2013. In the decade since the dot-com boom, the environment for building tech startups has changed dramatically. Conditions are perfect for nimble internet and mobile tech startups with talented teams and big ambitions, and the demand from both investors and buyers has never been greater. Moreover, there are attempts to create accelerators for hardware projects. “Accelerator programs, appear to be addressing a growing opportunity in the market for innovation. A market which is rapidly changing, in part as a result of technologies that this sector has already created. As Megan Smith, Vice President for Business Development at Google told us, “they are an idea whose time has come”. Early evidence suggests such programs have a positive impact on founders, helping them learn rapidly, create powerful networks and become better entrepreneurs. More importantly Accelerator Programs are the adequate answer for the all stakeholder’s needs serving them better than traditional incubators. So what is the business accelerator? A business accelerator is an intensive (usually 3 months), business program which includes mentorship, educational components, networking and aims at growing business rapidly, ending in demo-day. Usually an entrepreneur moves into a shared office space with other new founders for a period of time to work under the tutelage of advisors and experts to grow their business rapidly. In exchange for the expert mentoring, exposure to investors/future capital and cash investment that entrepreneurs get from the accelerator, the entrepreneur gives a portion of his or her company’s equity to the partners of the program and for this reason is often called a “seed” or “venture” accelerator. I also found the following definitions. You could use them if you like. The main are made by Jed in 2009, and Paul and Kirsten in 2011. 3. Wikipedia: Seed accelerators are fixed-term, cohort-based programs, that include mentorship and educational components and culminate in a public pitch event or demo-day. While traditional business incubators are often government-funded, generally take no equity, and focus on biotech, medical technology, clean tech or product-centric companies, accelerators can be either privately or publicly funded and focus on a wide range of industries. 4. U.S. Department of Commerce Economic Development Administration (Lewis et al. (2011): Business accelerator is (1) a late-stage incubation program, assisting entrepreneurial firms that are more mature and ready for external financing; or (2) a facility that houses a modified business incubation program designed for incubator graduates as they ease into the market. Hi, Audrey. Yes. This is mine understanding and conceptualization of Business accelerator. However, I would recommend to check also others before citing.